Caption slip reads: "Photographer: Wyman. Date: 1957-04-22. Reporter: Adler. Assignment: Polar bear cub. 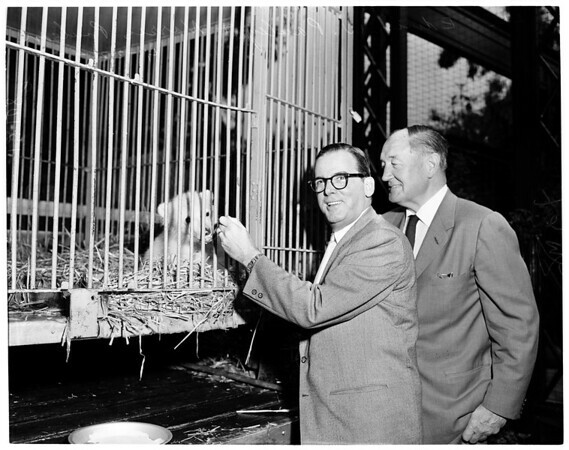 42/78: l to r, Edwin W. Pauley, oilman & Mayor Norris Poulson with polar bear cub which Pauley presented to city zoo. 67/68: L/R, Poulson & Pauley".